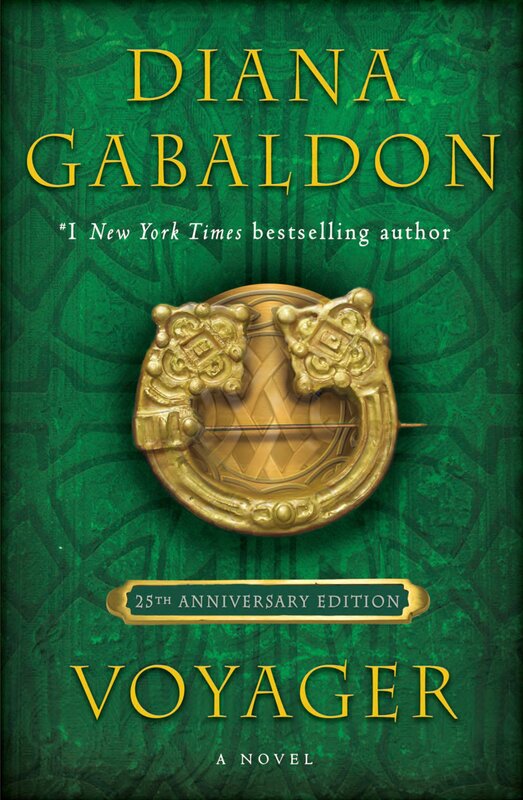 1) I had never heard of "Lillibulero" before I read Diana Gabaldon's books. Here's a clip from the 1975 movie "Barry Lyndon", featuring British redcoats marching to "Lillibulero". Here's the version of "Lillibulero" used by the BBC World Service. 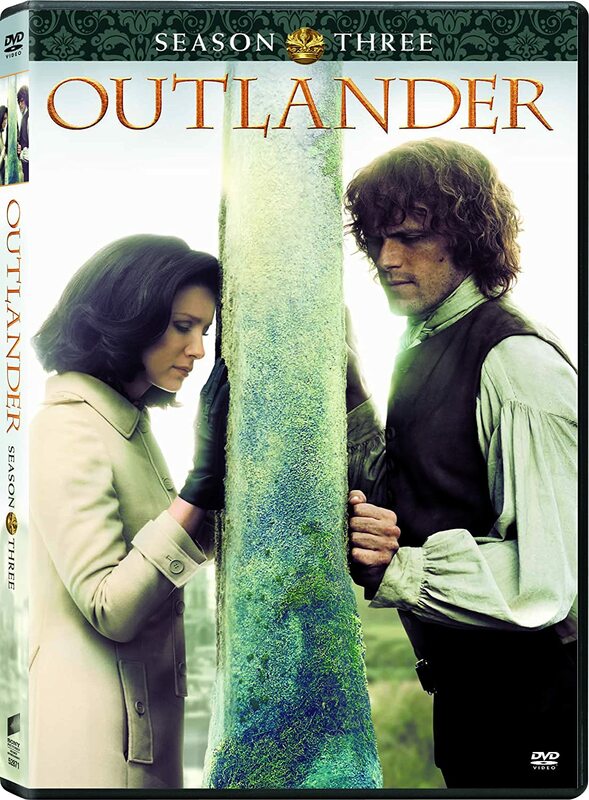 I wonder if Claire was familiar with that version? The cold air outside was a relief, after the hot, smoky confines of the kitchen, and Jemmy quieted a little, though he continued to squirm and whine. He rubbed his hot, damp face against my neck, and gnawed ferociously on the cloth of my shawl, fussing and drooling. I paced slowly to and fro, patting him gently and humming “Lilibuleero” under my breath. I found the exercise soothing, in spite of Jemmy’s crankiness. There was only one of him, after all, and he couldn’t talk. There's also a reference to "Lillibulero" in the first chapter of AN ECHO IN THE BONE, where Lord John whistles the tune. 2) If you've read THE SCOTTISH PRISONER, you'll remember the Wild Hunt poem. I was not familiar with Wild Hunt legends before I read that book, and I was surprised to learn that the stories are common in many European cultures. The painting above, called Åsgårdsreien, by Norwegian artist Peter Nicolai Arbo (1872), is a depiction of the Wild Hunt. 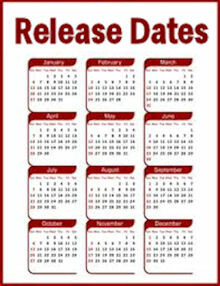 Click on the picture for a bigger view. Sir Melchior looked interested and sat up, fumbling for his spectacles. Placing these on his nose, he read the lines slowly out loud, following the words with a blunt fingertip. Listen, you men of the three lands. that come out of the night. the volunteers who follow the Queen. They search out blood, they seek its heat. They echo the voice of the king under the hill. "Deuced odd thing, that," he said, looking up from the page and blinking owlishly through his spectacles at them. "I've heard of the Wild Hunt but can't say I've ever seen an account quite like this one." Here's more information about the Wild Hunt, including an exploration of the various Wild Hunt legends throughout Northern Europe. 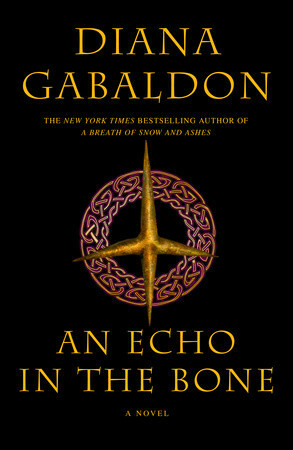 3) The image on the cover of AN ECHO IN THE BONE is called a caltrop. 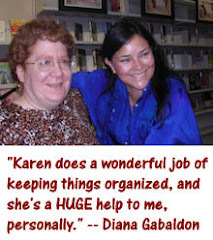 It represents the "shape" of the book, as Diana explains on her website. I had stepped on some sort of cocklebur; half a dozen vicious caltrops were stuck in my bare sole, blood drops welling from the tiny punctures. Precariously balanced on one foot, I tried to pick them out, cursing under my breath. 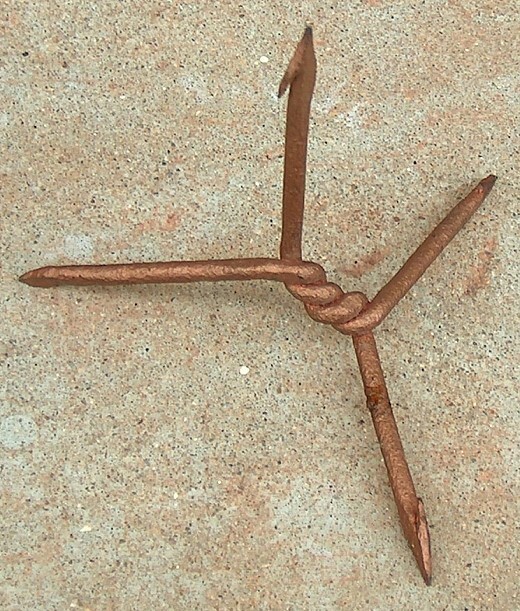 We had a lot of discussion about caltrops and their possible significance on Compuserve before ECHO was published. 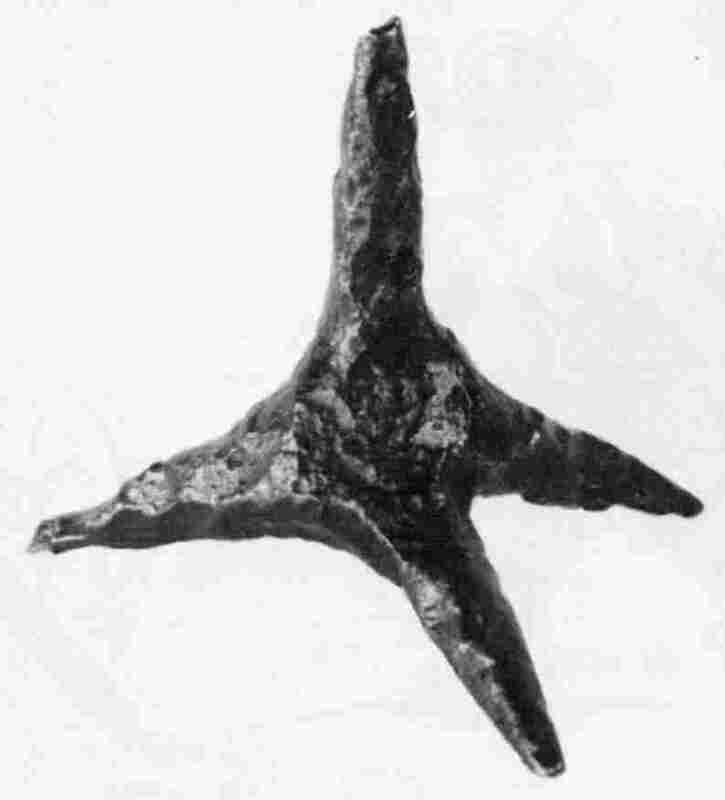 The one on the right is an early-17th-century example of a caltrop that I saw in the Visitors Center at Jamestown, VA, in 2008. It would fit easily in the palm of your hand. 4) The painting above, by Pieter de Hooch (1658), illustrates the use of "leading strings", strips of fabric sewn into the clothing of young children. Remember the scene in FIERY CROSS when the buffalo appears at the Big House? Jemmy was on the ground nearby, his leading-strings securely tied to the paddock fence. He certainly didn't need them to help him stay upright, but they did keep him from escaping while his mother was busy. 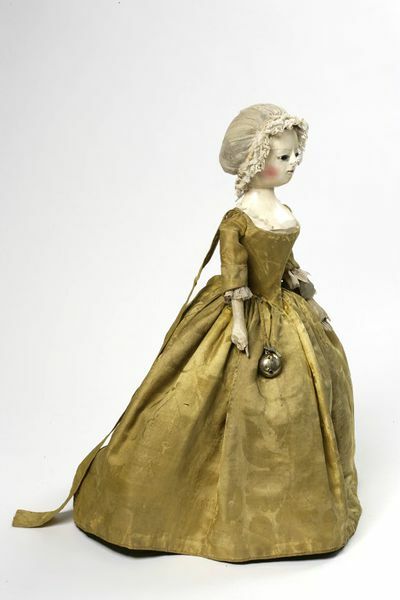 This is a doll from England circa 1740-1750, from the collection of the Victoria and Albert Museum in London. You can clearly see the leading strings fastened to the back of the doll's gown, just like the ones that young children wore. “More agile than Godzilla, at least,” she said, shuddering slightly at the recollection of the one Moray eel she’d met personally. A four-foot length of spring steel and rubber, fast as lightning and equipped with a mouthful of razors, it [....] had flashed through the silver wash of fish on deck, shot under the rail, and landed on the wet stones of the quay, where it had caused similar panic among the fishermen hosing down their gear, writhing and lashing about like a crazed high-tension cable until one rubber-booted man, gathering his self-possession, had rushed up and kicked it back into the water. 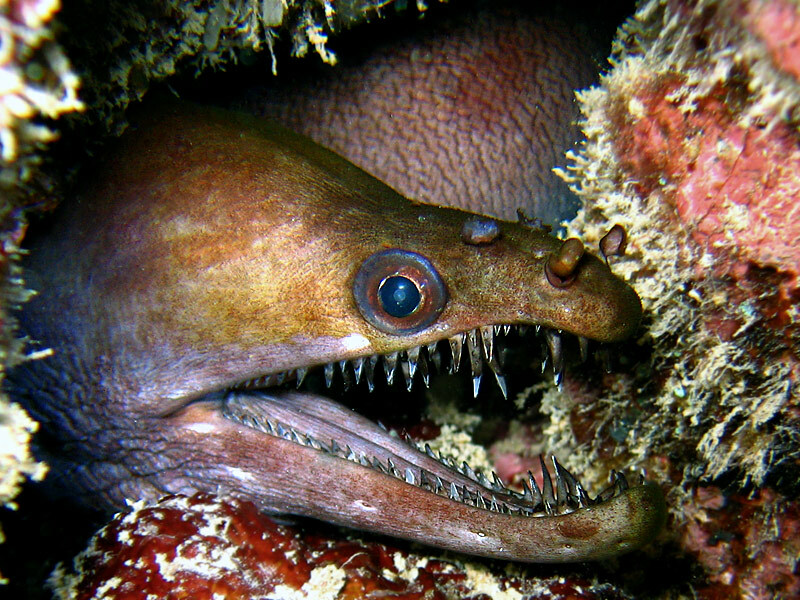 Here's a video showing some of the many different species of Moray eels.